John Heartfield died fifty years ago, on 26 April 1968. He was the creator of political photomontage, a fearless communist and activist. Helmut Herzfeld was born on 19 June 1891 in Berlin. In 1899 his parents abandoned Herzfeld, his brother and two sisters at a very young age. The children lived with relatives after that. After finishing school in 1905, the brothers moved first to Wiesbaden and from there to Munich in 1909, where Helmut studied art. First he worked as a commercial artist and later continued his studies in Berlin. 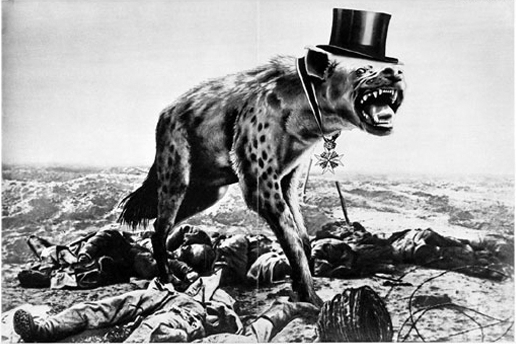 In protest against chauvinist war propaganda and the greeting “May God punish England,” Herzfeld translated his surname to English, calling himself thenceforth John Heartfield. Heartfield’s brother Wieland and he worked closely together throughout their lives. 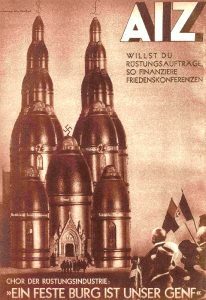 Together they published the magazine Neue Jugend (new youth) in Berlin in 1917–18, where John Heartfield pioneered a new typography. They founded the publishing house Malik-Verlag in 1917. When the Communist Party of Germany was founded, in December 1918, Heartfield joined immediately. He produced stage sets for proletarian theatres and posters for the Communist Party and contributed artwork for magazines and pamphlets. Over the following years he began experimenting with new ways of working with photographs. These photomontages were used for the book covers of the Malik-Verlag and other progressive publishing houses. He also collaborated with other anti-fascist artists, such as George Grosz, especially in creating collages in the early post-war years. 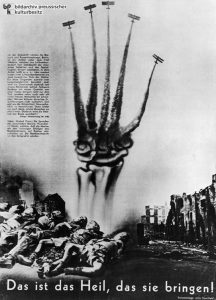 Photomontage became Heartfield’s specific artistic weapon. He made photomontages commenting on contemporary politics, beginning with the famous image Fathers and Sons in 1924. After 1930 he contributed frequently to the weeklies Arbeiter-Illustrierte-Zeitung (AIZ) and Volks-Illustrierte, often collaborating with Wieland in creating montages. The photomontages on the covers of the widely sold AIZ appeared at news stands throughout Germany. 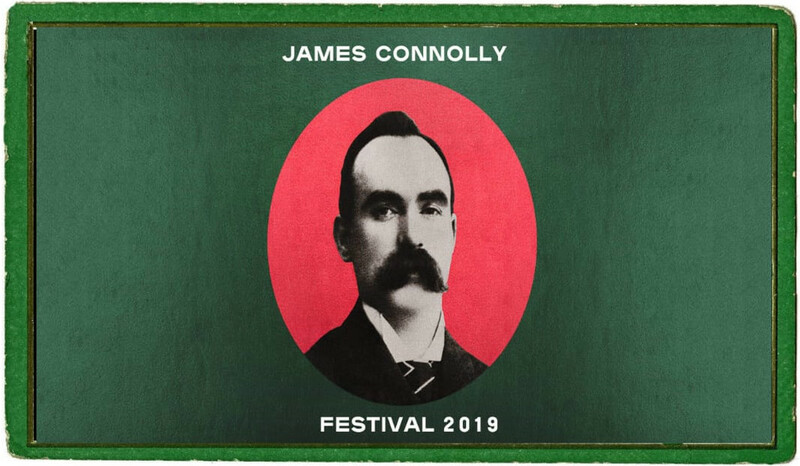 He used the rotogravure process, which engraved pictures, words and designs into the printing plate, to design montages on posters, which were distributed in the streets of Berlin in 1932 and 1933. 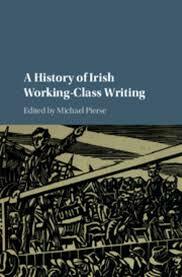 The spirit of class struggle and in particular of the October Revolution imbues the book covers he created for the works of revolutionary German, American and Soviet writers, for the collected editions of Tolstoy, Gorky, Ehrenburg and Sinclair. 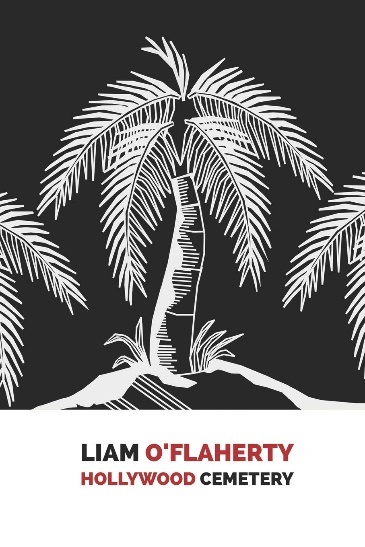 He responded directly to world events: the British general strike in 1926, the execution of Sacco and Vanzetti in the United States in 1927, and the planned framing of the eight Scottsboro Boys in Alabama in 1931. When fascism took over in Germany, the Nazis targeted him immediately. A dramatic flight brought him to Prague, where he resumed his work for the emigrated AIZ and Malik-Verlag. An entire series of photomontages was dedicated to the trial of Dimitrov in 1933 and later, in 1936–37, to the battles of the Spanish Republic and the International Brigades. 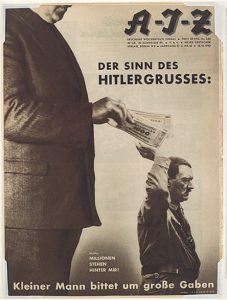 In 1938 Hitler demanded the extradition of Heartfield and other anti-fascists. This demand was rejected by the Czechoslovak government. But in December 1938, shortly before the Nazis marched into Prague, Heartfield fled to London. At first he was interned as an enemy alien. Following his release he received permission to stay in Britain, while Wieland did not and had to flee to the United States. In London, Heartfield was one of the founders of the Free German League of Culture, took part in many activities, and worked for British publishing houses as typographer and designer. 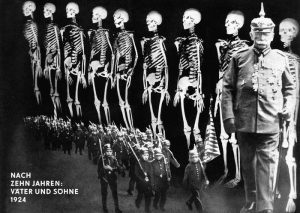 Returning in 1950 from emigration in Britain, Heartfield settled in the German Democratic Republic (East Germany). Despite serious heart trouble, he kept on working in the interests of socialism and world peace. “With his famous painting Guernica Picasso supported the heroic anti-fascist fighters in Spain. He succeeded his compatriot Goya in the struggle against war. He also created the wonderful lithograph of the world-famous flying dove of peace. 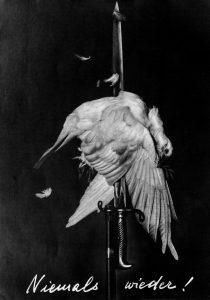 That the dove shall never again be impaled upon a bayonet (as shown in one of my photomontages), all advocates of peace, whatever their political opinions, must close the ranks in the fight to maintain peace. —John Heartfield, Berlin, 9 June 1967.